The magic ELIXER! 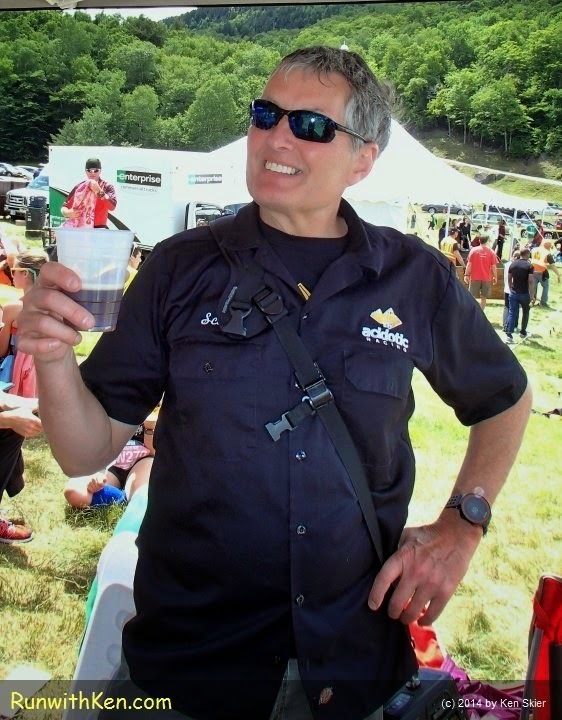 Rockpile IPA, brewed by ace race photographer Scott Mason for the Mt. Washington Road Race. is known the world over as a grueling, relentless grind. than any hill you have ever encountered. and makes strong men cry. At the summit, the winds of winter howl with a vengeance. as the harshest gale of February flails your bare skin. Because you ran up Mt. WASHINGTON!!!! for his skill as a brewmaster. those of us who ran up Mt. Washington. He'd saved a bottle for me. but I can share his photos! from the Mt. Washington Road Race.